I feel so strange in Northern Ireland, my family live here but I never did. I grew up in the south. The cultures are very different, surprisingly so because Ireland is a smallish island. So coming home is not quite coming home, my parents moved here just before the beginning of the new millennium, that was 19 years ago. Like I said, it’s a strange feeling. Anyway, where is home? It’s in Stockholm of course! So homes move – mobile homes, I like the sound of that. To be fair Northern Ireland is a beautiful place and there is lots of great scenes to paint and sketch. 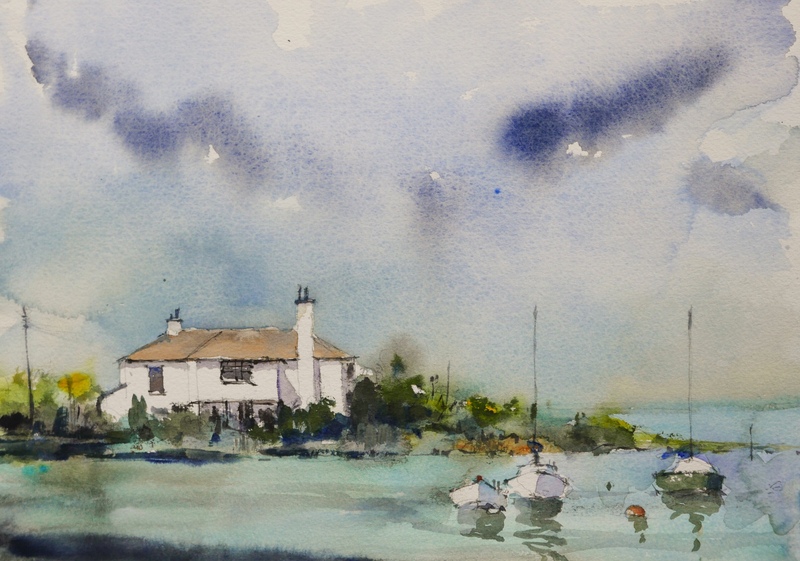 Today I drove to Groomsport not far from Bangor and did a quick painting of a house that I have painted before. I have put a link to that one here. It was a lovely day, it felt nice to smell the sea air and hear the seagulls sing. Yes, I know they don’t sing very well but it was enjoyable anyway! Click image below for full size version. 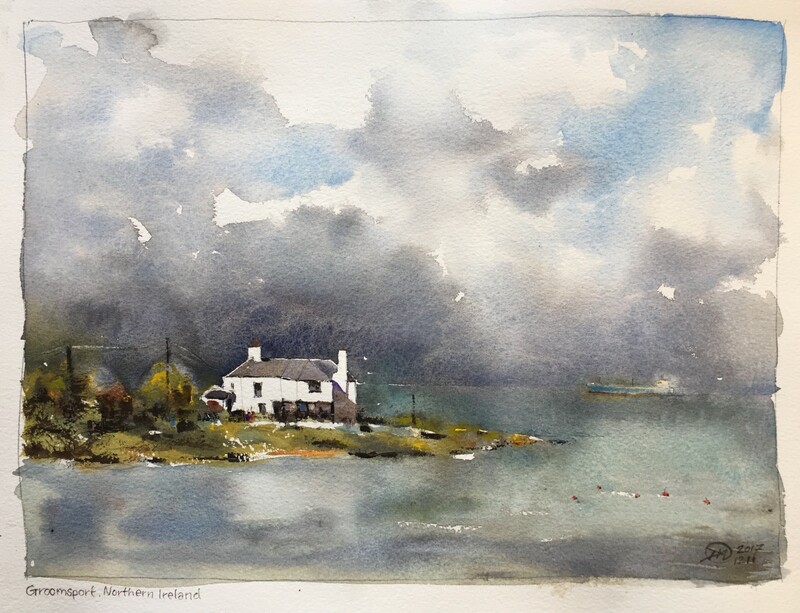 Author meldrumPosted on 2018/05/20 2018/05/20 Categories Sketch, WatercolourTags akvarell, aquarelle, bangor, groomsport, northernireland, Sketch, sketchbook, urbansketchers, usk, watercolor, WatercolourLeave a comment on Not quite home. I am visiting my mother in Norther Ireland at the moment. The other day I borrowed her car and drove to Groomsport, a small town close to Bangor where I am staying. I sat in the passenger seat of the car and painted this sketch. I am fascinated by the sky here in Ireland, it changes so quickly and can be so dramatic. I painted in my current favourite sketchbook which has Saunders paper and is 38 x 28 cm in size.